The countdown to the biggest Sydney Bar Week ever is on! There’s just nine days until the festivities kick off on Saturday the 15th of September, and a number of events have sold out already — make sure you check out what’s in store below and get your tickets and RSVP’s to events sorted now so that once you’re indulging in the week you’re not mucking about trying to blag tickets last minute. There’s a huge 29 events on over five days — go through the list below and we’ll see you all at the end of next week! Join Manly Spirits Co. Distiller Tim Stones discussing how he transitioned from slinging gin to creating it. He will share his journey of changing careers, how he did this and explain how he makes award-winning spirits at Manly Spirits Co. (And how much he misses his expense account). He will then conduct a tasting of the full range of Manly Spirits’ gins, botanical vodkas, liqueurs and whisky. Tim has over twenty years spent in the drinks trade, from bartending at London’s Lab and Trailer Happiness, co-creating It’s A Rematch, Beeyatch!!! and working as the Global Brand Ambassador for Beefeater before changing careers and joining the team at Manly Spirits Co. Distillery. Limited Space so book in quickly. Come and kick off Sydney Bar Week in style at the newest digs in town, Sydney’s very own rum distillery right in the heart of Surry Hills. A great way to ease yourself in to the chaos of Bar Week! If you’re heading into Sydney from interstate drop us a line and we will try and accommodate you. Otherwise, invites will go out soon. Email amy@spantonmedia.com for more information. RSVP info: Tickets are SOLD OUT. Indie Spirits Tasting Sydney is back for its fourth year and will again be hosted at the stunning Restaurant Hubert. 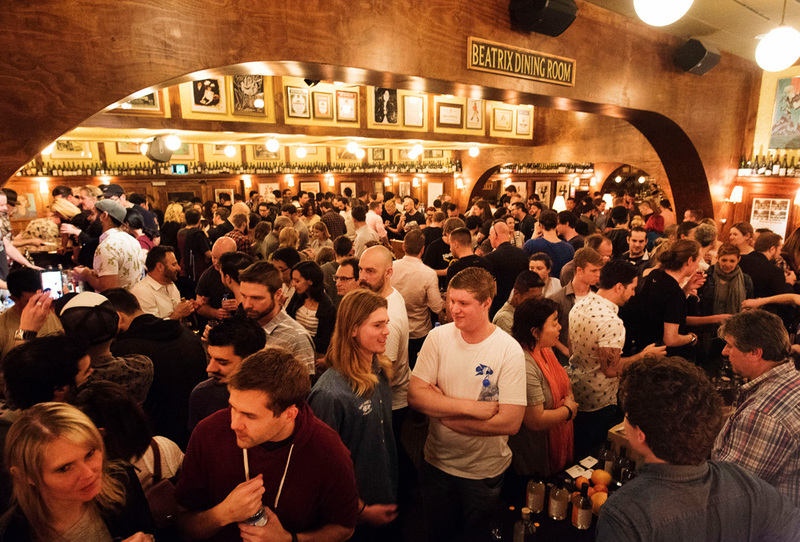 The event, which is now staged in both Melbourne, Perth and Brisbane as well, will feature over 40 exhibitors showcasing more than 150 craft spirits, with master distillers on hand and free seminars going deep into the world of independent spirits. Tickets are just $55 (plus booking fee). Click here to get yours. Where: Brazilian Fields, Centennial Park — click here for the Facebook event page to stay up to date. During Bar Week BACARDÍ is excited to bring Australia’s best bartenders together to enjoy some friendly rivalry on the softball field and pay homage to the first BACARDÍ distillery workers in Santiago de Cuba, who finished their shifts with a game of baseball. Our pals in NZ will also be fielding a team. If you are in Sydney during Bar Week and keen to play ball please drop a line to Loy, Pete or Georgie. To get involved, email Loy Catada – lcatada@bacardi.com Peter Hollands – phollands@bacardi.com, or Georgie Mann – gmann@bacardi.com. Details: Have you got the pineapples to bust out the best tiki cocktails in town?!? Tiki Face Off puts Bar Vs Bar to see who can make the most ridiculous, most tropical cocktails of all time! Dust off your florals and join us for tiki drinks to cheer on your favourite rum bars compete for the golden pineapple! Email info@therumclub.com.au for more info. Attention bar tenders and monkey tamers. Be sure to check your letterbox’s leading up to Sydney Bar Week, as the folks from Monkey 47 will be posting out invitations to the grand opening of the 47th Street Post Office. Come down & enjoy a night of entertainment and refreshments by Monkey 47 Schwarzwald Dry Gin. P.S. Word on the monkey vine is there could be some giveaways from our friends in the Black Forest, but you didn’t hear it from us! Description: Bringing the unique style of Fitzoy’s Black Pearl to Skittle Lane, Sunday night will see Australia’s most awarded bar host the hospo party to end all hospo parties. Not to be missed. Theme tbc. Bartender magazine’s Bartender of the Year sponsored by BACARDÍ and De Kuyper kicks off with the written test to find the Top 16 bartenders in the country. Join us for Daiquiris and a talk by the one and only Jacob Briars. This will be followed by a mystery box challenge and a spirit tasting to find the Top 8 bartenders in the country. Buckle up guys, it looks set to be a hot competition in 2018. Rent the minds of some of the industry’s best for a 30-minute open book session. 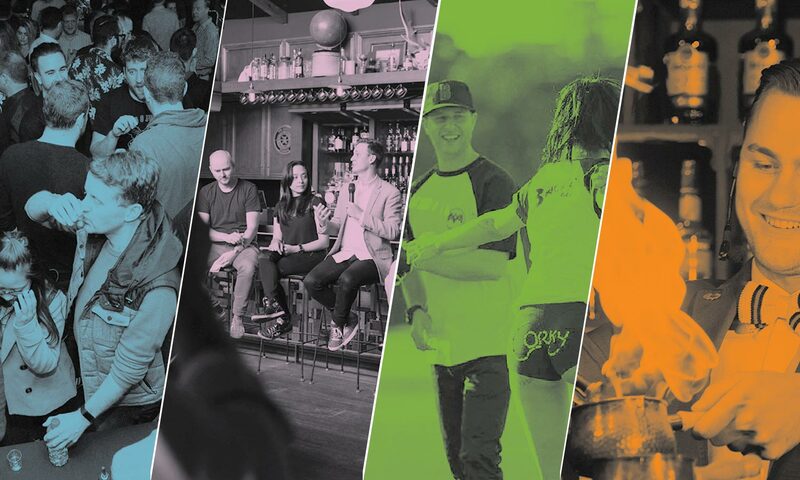 From venue owners to distillers to brand managers, this is your unique chance to sit down and ask all of the questions you’ve got. The Details: Join us for a progressive long lunch – Tequila Herradura style, hosted by the Brown-Forman Advocacy team from the east and west coast. Those who’ve achieved greatness didn’t get there by luck, and at Tequila Herradura we’re no different. “Luck is earned” That’s the way it should be done. And at Tequila Herradura, it’s the way we’ve been doing it for the past 145 years. The team will take you on a journey of discovery, unlocking flavours of “La Hacienda de San José del Refugio” Amatitan. The Casa welcomes you. Limited spots available, please RSVP to herraduratequilaau@gmail.com. The Details: Father & Son Bourbon Master Distillers, Jimmy and Eddie Russell, have created a unique bond through their unwavering commitment and passion for high quality craftsmanship. To celebrate this bond, Russell’s Reserve invites you to a hands-on workshop to learn about the fermentation techniques applied to bourbon, cured meats and bread. Join Russell’s Reserve Brand Ambassador Jay Lambert, expert baker Antonio Zambarelli and master salumi artisan Michael Dalsk who will share their family legacy, heritage and secrets to enrich your fermentation repertoire. Legendary Master Bartender Hidetsugu Ueno will share the history, myths and secrets of Japanese cocktail culture. Take the opportunity to learn about his famous diamond ice carving, Japanese style shaking and sample some of his world-famous Bar High Five recipes. Numbers are strictly limited. Toast to the man that started it all and his legacy that continues to this day through you, the bartenders. 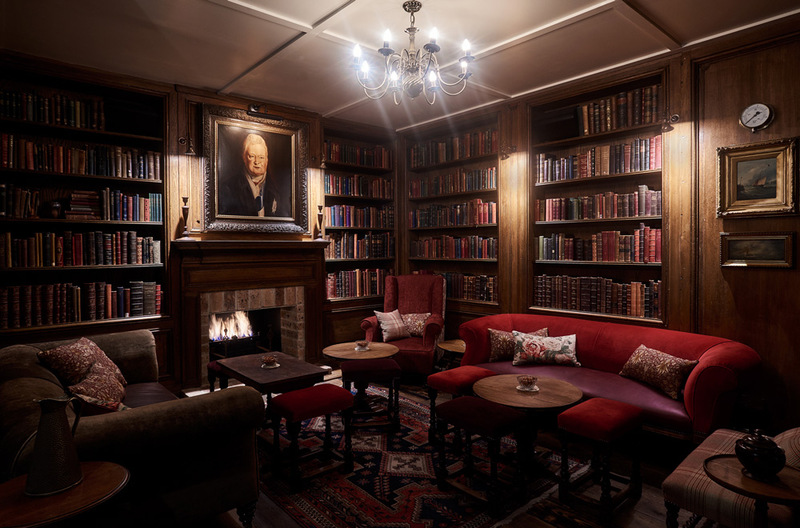 Join the William Grant and Sons Brand Ambassadors for a night to remember with their annual House of William Grant Event, celebrating with incredible drinks from the Glenfiddich, The Balvenie, Hendrick’s Gin, Monkey Shoulder and Sailor Jerry. Southern Comfort is set to bring the Spirit of New Orleans down under! Slinging drinks, live music, Bourbon St specials and New Orleans vibes – it’s all going down. Let the good times roll. This year our Business of Bars Conference is moving to the tailor-made conference room at Restaurant Hubert to accommodate more guests and increase the offering to include food and drinks… and of course, our best line-up to date! The Details: Cult Japanese Whisky brand, Nikka are hosting an exclusive Masterclass presented by Nikka Global Business Development Manager Naoki Tomoyoshi and Rogerio Igarashi from Bar Trench in Tokyo. Guests will take part in a Whisky tasting as well as the newly released Coffey Gin and Vodka, while getting an insight in to Japanese cocktail culture. This event is exclusive to bar professionals and venue owners only. To register your interest to attend please email nikka@kdpo.com.au ASAP with your name, venue and contact details. Please note limited tickets available. Global Ambassador of the Rum Category and recently awarded International Ambassador of the Year at Tales, Ian Burrell candidly talks about his favourite subject and how the past will us understand the future of rum, as well as giving you chance to taste a few EXCLUSIVE rums. PS40 shares a similar fearlessness to the way Never Never approaches flavor, join us for the launch of an exciting new spirit in an afternoon of palate cleansers and cocktails. This will be a departure lounge in which you can rest and relax before the big awards evening! Walk-in only. The biggest night of the bar industry kicks off on the deck at Doltone House with cocktails galore and a dinner packed with awards covering everything from the best pub to the best bar manager. Over 600 of the country’s leading bar professionals will pack the room in a night of self-congratulatory drinking and award-winning. Tickets exclusive to sponsors and finalists. SOLD OUT. The Darlinghurst gem, a late night parlour that brings a swell of emotions and memories for many. Henrietta Supper Club, closed it’s doors last year, and for twenty-four cold and very long months, we’ve been pining but for one more nostalgic night. Burrow Bar are getting the band back together with our friends from Bacardi, Jagermeister and Campari. Expect some familiar faces to bring those good vibes and drinks this Bar Week. RSVP: First in best dressed – if you remember the queue for Burrow Bar’s Tiki Takeover last year…. First in. Best dressed. Doorly’s Barbados Rum is one of the Island’s oldest and most prestigious rum brands. Today it is produced at the Seale Family owned Foursquare Rum Distillery. This masterclass is hosted by Distiller Richard Seale a 4th generation producer on an island where rum has been made for nearly 400 years. The Whiskey Roadshow is a chance to take whiskies from all over the world for a spin. There will be loads of amazing whiskies to try & buy along with free masterclasses. If you’re a whisky enthusiast or even new to the world of whiskies then this show is for you. Click here to get yours. In celebration of Bar Week 2018. The Duke of Clarence will be showcasing ‘Punches and Decanter’ drinks from there their menu — a nod to the punches from 1800 and 1900s! Join us for the Bar Week closing party and let’s raise a glass — or a bowl — to a successful year. No RSVP needed, Just turn up on the night. First in, best dressed.